Revive your skin with our 60 minute organic classic facial, designed especially for you. Your esthetician will complete a thorough skin analysis to determine your specific skin care needs, and then select the appropriate cleansers, masks and serums to treat your skin type. The Revive Organic Classic facial includes dual cleansers, steam, exfoliation, masks, extractions, and hydration. Revive your skin with our 60 minute signature facial, designed especially for you. First, your esthetician will complete a thorough skin analysis to determine your specific skin care needs, then select the appropriate cleansers, masks and serums to treat your skin type. Your organic signature facial includes dual cleansers, steam, exfoliation, masks, extractions (as needed), hydration and a relaxing neck and shoulder massage. For ages 13-16. Introduces young people to the importance of skincare. A half hour facial designed to educate and encourage healthy skincare habits for life! This cleansing and toning facial is ideal for executive on the go, after workouts, golf or tennis. Perfect for a lunch hour. This facial follows the same steps as a traditional facial. Your back is first deeply cleansed and exfoliated. The second step removes impurities and imperfection from beneath the surface of the skin. Then a mask is applied. The final step involves moisturizing the back to hydrate and restore nutrients. Microdermabrasion is a technique which consists of manual exfoliation of the skin’s outer surface. The tip of the wand used in Microdermabrasion is made of natural diamond chips, which polish the skin and remove dead cells. The result is smooth, shiny and healthy looking skin. The natural diamond tip is new technology that is easier to control than prior methods and it doesn’t irritate the skin. Experience a remarkable improvement in your skin’s appearance with this painless and effective procedure. This treatment reduces fine lines, wrinkles and hyper-pigmentation and leaves skin looking younger, healthier and silky smooth. Microdermabrasion is safe for most skin types and requires no recovery time. The in-spa treatments use an enzyme exfoliant that is massaged into your skin to begin removing dead skin. An advanced peel activator is then applied to the skin. At this point, you will feel some warmth, but no pain. Next, a radiance cream is applied, which is full of peptides to relax those face muscles and give them the Botox look, by improving the appearance of fine lines by 40%, increasing collagen production by 30% AND decreasing wrinkle depth by 26%! 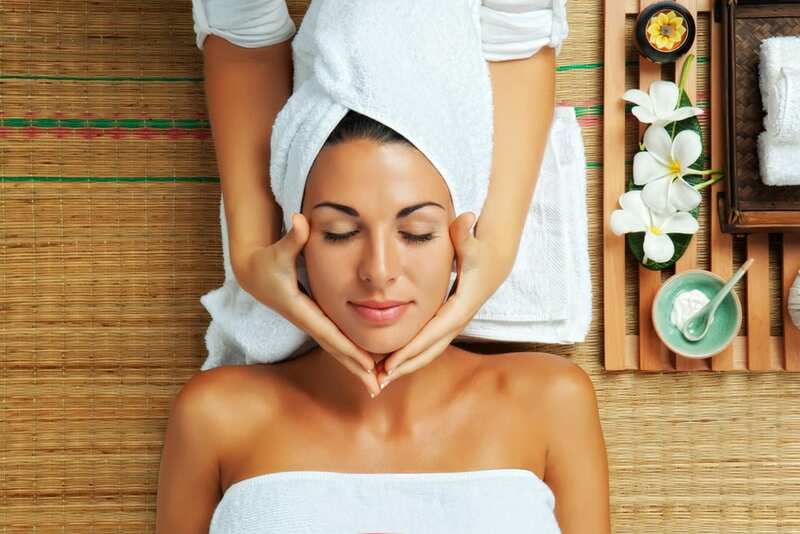 Any of these beautifying specialties can be scheduled with your facial.